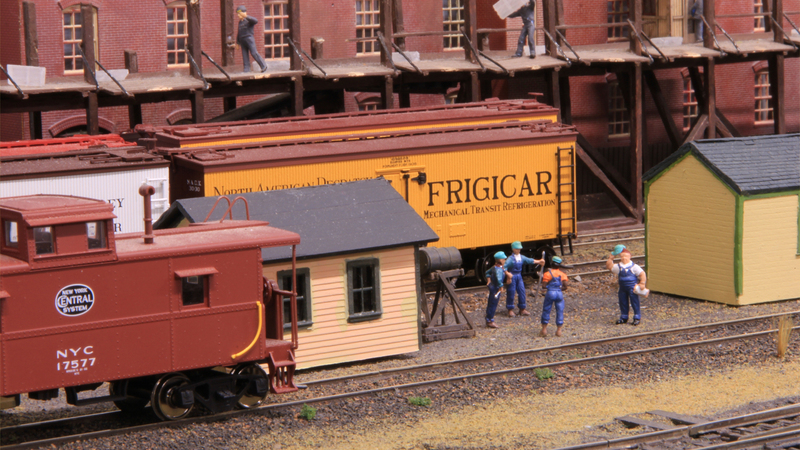 Putnam Yard is The Model Railway Club’s HO American theme layout, originally inspired by the Putnam branch of the New York Central Railroad which ran north from New York city. Whilst not a model of any one place, it does feature both built up and rural areas in-line with the route the real railroad took. The layout is a work in progress, designed to grow gradually. This year we have expanded the off-scene storage yards to enable us to run more and longer trains. The right-hand end board is the latest to have scenery added. The trains running represent a variety of types that were seen in North Eastern USA in the late 1940s to mid 1950s. Locos are a mix of New York Central and Pennsylvania types, steam and early diesel. Rolling stock represents the large number of railroads were in operation at that time. Control is by DCC and many locomotives are sound equipped. We started with Putnam Yard, a 16ft straight scenic section with stub end fiddle yards at either end. After several shows in this format, the attraction of longer trains and reduced handling led us to expand the layout to form an oval. The layout was shown at Ally Pally in 2016 in this format. It became clear at that show that more storage yard tracks were required to enable us to show a better representation of the variety of trains that ran on American railroads. Hence the majority of the storage yards boards were widened and a large amount of new track laid to give us our present configuration of 13 storage tracks feeding into the single track main line with long passing siding plus the original yard. 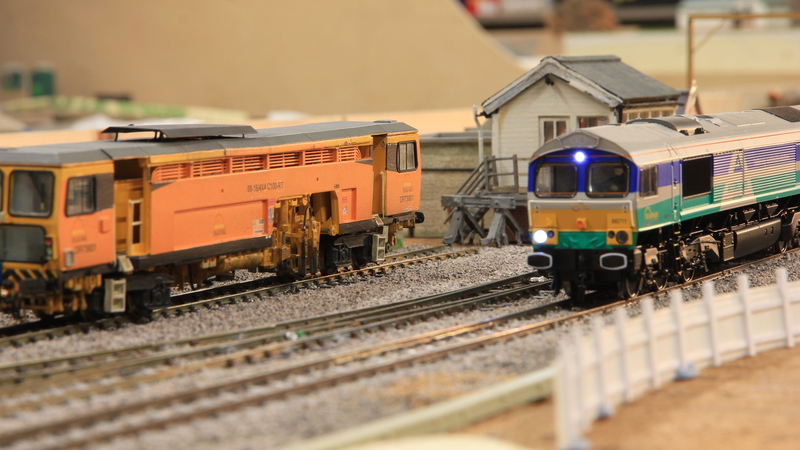 This enables us to demonstrate both a variety of main line trains plus shunting in the yard. In the current form the layout is a 24ft by 11ft oval. 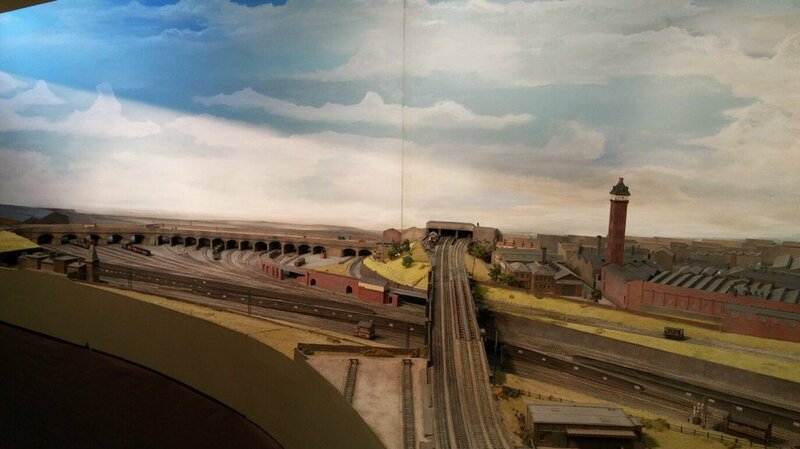 From the beginning the layout was designed to be controlled by DCC, both locomotives and points. We use the NCE Powercab DCC system. All points are controlled by NCE Switch-It boards driving Tortoise point motors. We have disproved the claim that DCC only needs two wires; we may well have fewer wires crossing board joints than an equivalent DC layout would need, but there are still a lot of wires in use. The mainline trackwork is controlled from a recently introduced ‘glass panel’ which uses the JMRI software to provide the operator with a diagram of the layout and turns operator commands into DCC commands that are fed through to the main DCC command station. 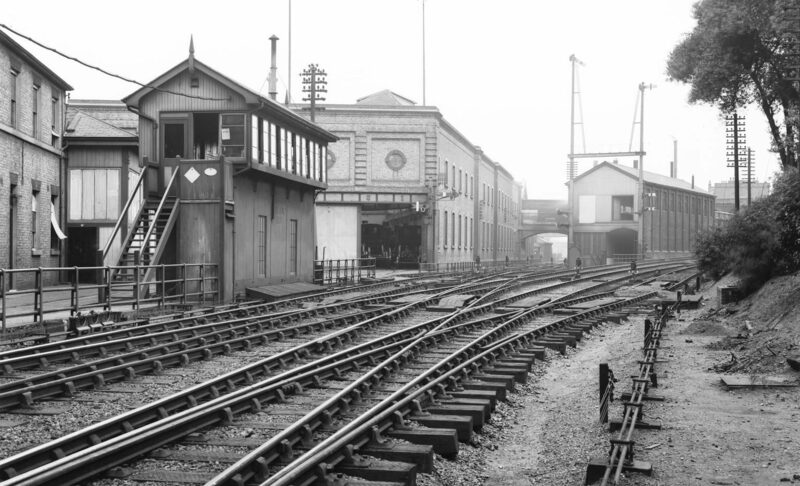 The shunting yard is controlled by its own panel; this uses push buttons to feed into a NCE Mini-panel that then generates the necessary commands to pass to the DCC command station. We prefer to use a walk-round method of train control, so the hand controllers have numerous plug in points we use to follow trains around the layout. We have tried to incorporate typical features of the real Putnam line rather than model any specific locations. This means a mix of urban and rural. 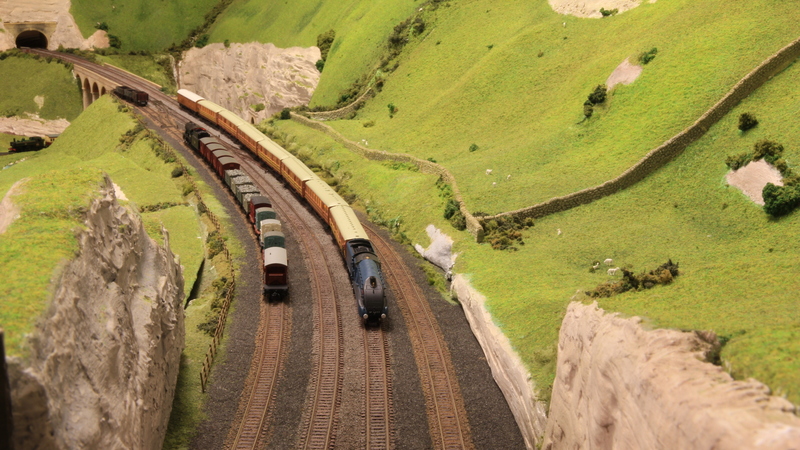 The rural parts of the layout make extensive use of extruded Styrofoam as a base for shaping the landscape. Recently we have commenced on what will be the most rugged part of the scenery with rock cuttings, a ravine, and other features representative of the hillier parts that the Putnam branch ran through. This work is ongoing and will ultimately give a significant contrast to the flatter landforms around the yard. We have situated the layout in a 1947 to 1955 timescale, a time when both steam and first generation diesels were in use. Reflecting the interests of the layout group members we typically run a mix of New York Central (NYC) and Pennsylvania (PRR) locomotives. The rolling stock covers a large numbers of railroads, reflecting the wide mix you would see in any freight train in the American North East. 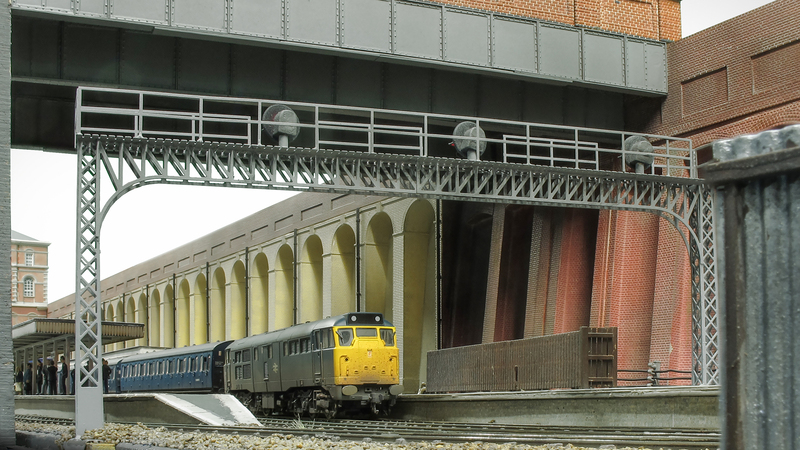 The majority of the rolling stock is RTR, with some kit built examples also in use. Further work is needed to complete the scenery, after which we plan a period of consolidation to bring all elements of the layout up to a common standard, and find ways to simplify the packing and transportation for when Putnam attends shows.